In the Northern part of the country massage is characterized as healing. Schools in the Northern part of the country transmit knowledge mainly from generation to generation within the family. Each school has its own features of massage, all movements are intuitive, apply a lot of muscle stretching exercises, which are also called "lazy yoga". Along with this, the followers of the southern massage school often use the Tok sen technique. This technique involves the use of special sticks or hammer made of wood. This classification of massage styles invented farangs, so-called foreigners coming to Thailand. The Thai people recognize the division of a massage on a regular and Royal. The usual massage is performed for all residents of the country, and the Royal massage is intended exclusively for Royal persons. This elite massage includes a combination of special techniques suitable for the king. In Thailand, it is considered that it is not allowed to apply to the king twisting exercises or touch the feet. And prohibited Royal persons lay upside down or in the "position of the defeated". Based on this, the master must perform the massage Royal massage, while maintaining the smallest physical contact. During the massage it is allowed to use the palms and thumbs, while the master should be located at arm's length. 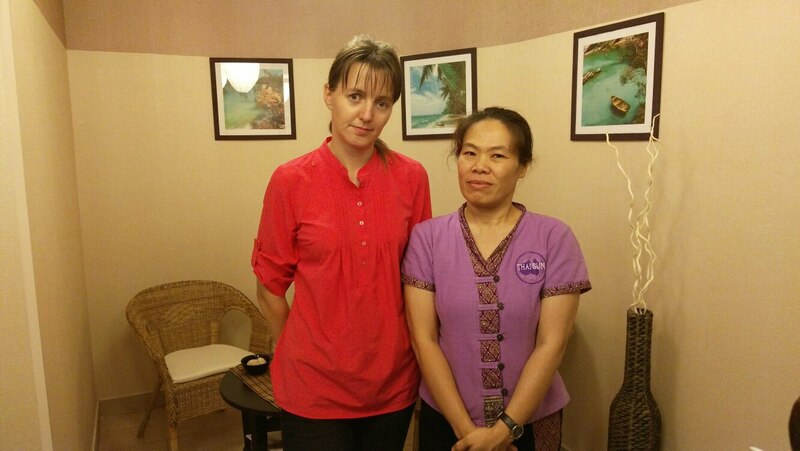 Thai San Spa features a representative of the Northern school of Thai massage, Mina Homvan (Meena Homvan). 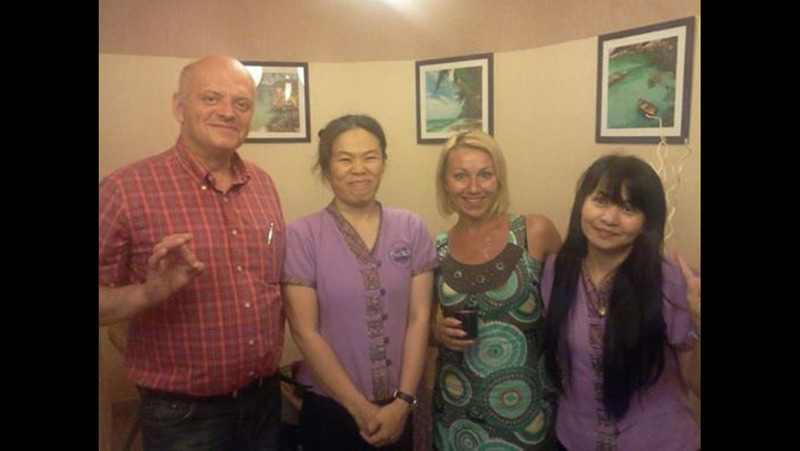 Mina-certified master from the North of Thailand, a graduate of the school of massage Lanna thai Massage School . Experience of its work - more than 30 years! Mina skillfully performs massage and Spa, foot massage and many other types of massage for both women and men. In the southern part of the Kingdom of Thailand knowledge about massage is transmitted through monasteries. The main center of education in the South of the country was the monastery Wat Po. The capital city of the country was severely defeated and looted during the military invasion of the Burmese. In this regard, by order of king Rama 3 all accumulated information about Thai massage was carved on stone slabs located on the territory of Wat Po. And later this monastery became the first national University of the Kingdom. In southern school, body work is done mainly by clicking on certain points on the human body, such an impact is called acupressure. There are many methods of acupressure action to get rid of various ailments. These methods have remained unchanged since ancient times. In the salon "Thai Sun" from the beginning of 2016 massage and Spa certified practitioner of traditional Thai massage for men and women on the southern technique Nannapat, Calapan (Nunnapat Kalaplan). Experience Nannapat more than 25 years. Her husband Neon Karlaplan is also a professional massage therapist. He owns and runs a massage school in Henan province. Together they built a family business, teach in their own school and continue to develop professionally. Сегодня с мужем решили порадовать себя ТАЙСКИМ МАССАЖЕМ. Это не передать словами, как круто! На день рождения Николаши Женя подарила мне сертификат на массаж в тайском салоне Тай Сан . Процедура называется Удар по усталости. Это не похоже на тот массаж, который обычно делается у нас. По ощущениям, результат действительно, отдохнувшей спины. Особенно, я как человек постоянно, на протяжении уже лет 5 имеющий на руках не лишние 10 кг живого веса, это ощущаю. Мамы, ну и остальные, с усталой спиной, сходите, не пожалеете! Best service and conditions for you! You can visit our salon often and very favorably! six months or even for the whole year at very tasty prices!